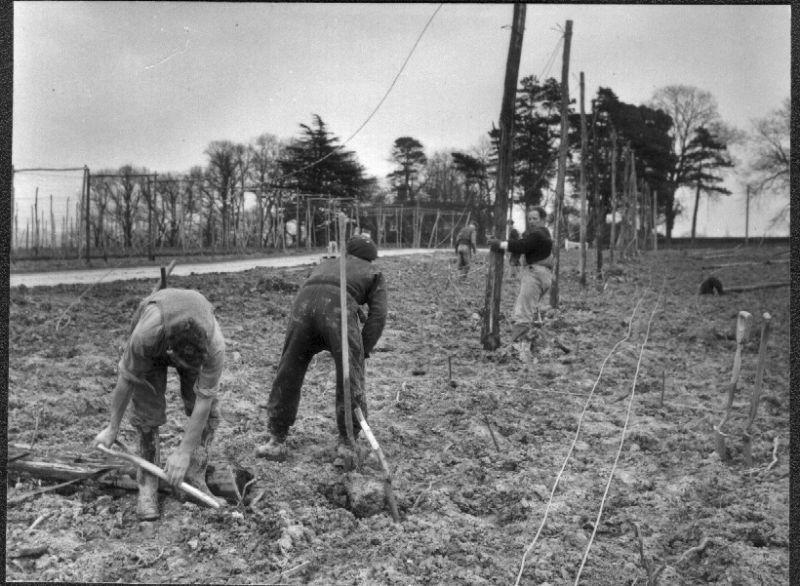 A major task in hop farming is the erection of a hop garden. 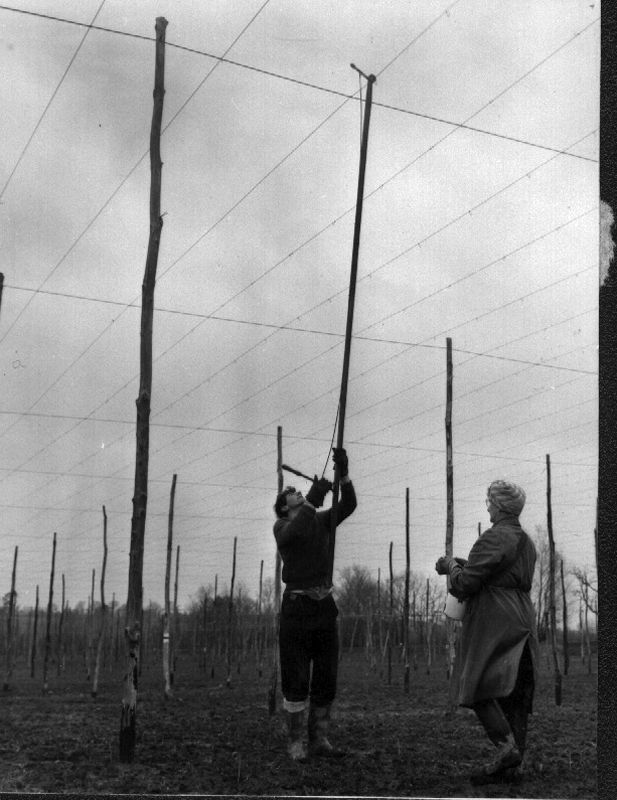 Keeping hop poles erect and able to carry the weight of fully deveolped hop bines is no easy task. 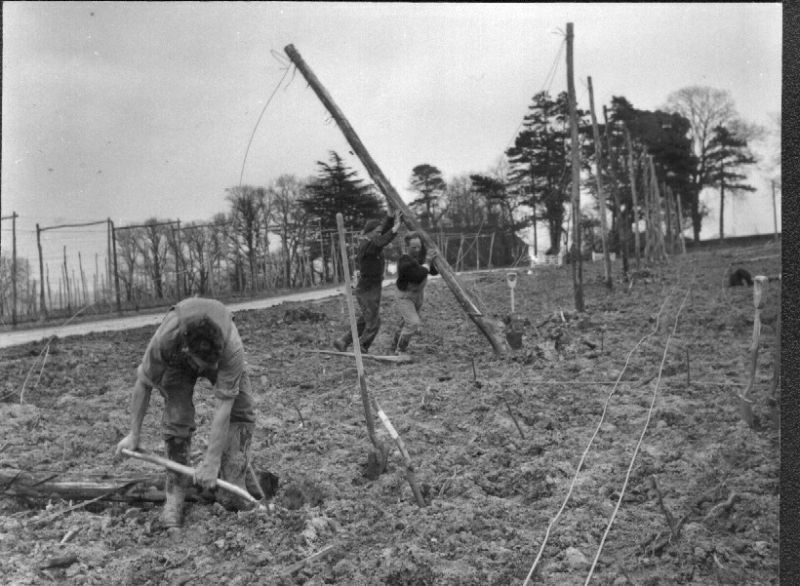 It requires a lot of wire work attached to the poles and plenty on anchor points around the perimeter of the hop garden to keep every thing up right. 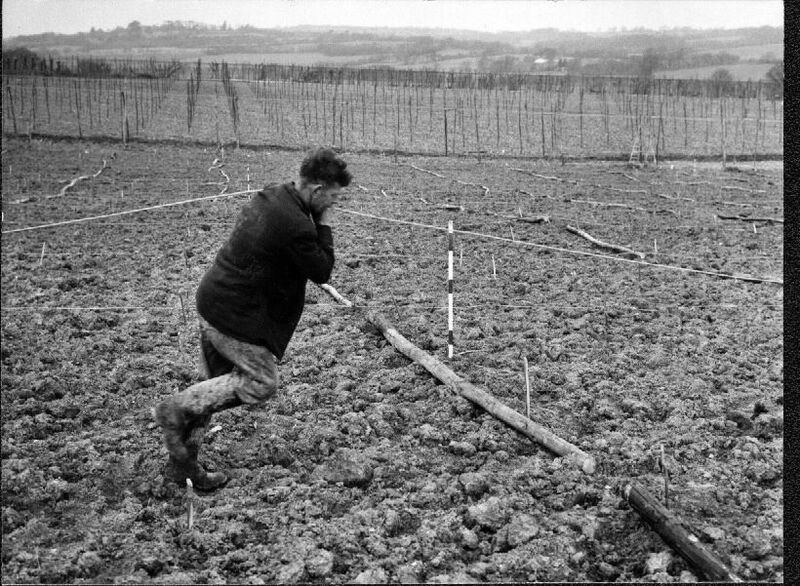 The following photos were supplied by Mick Breeds who collected them for a study of hop picking he did in the early 1960s. The text is that supplied by Mick with the photos. Setting up anchor poles for new garden. Poles are usually of chestnut with the lower ends treated by dipping in tar. 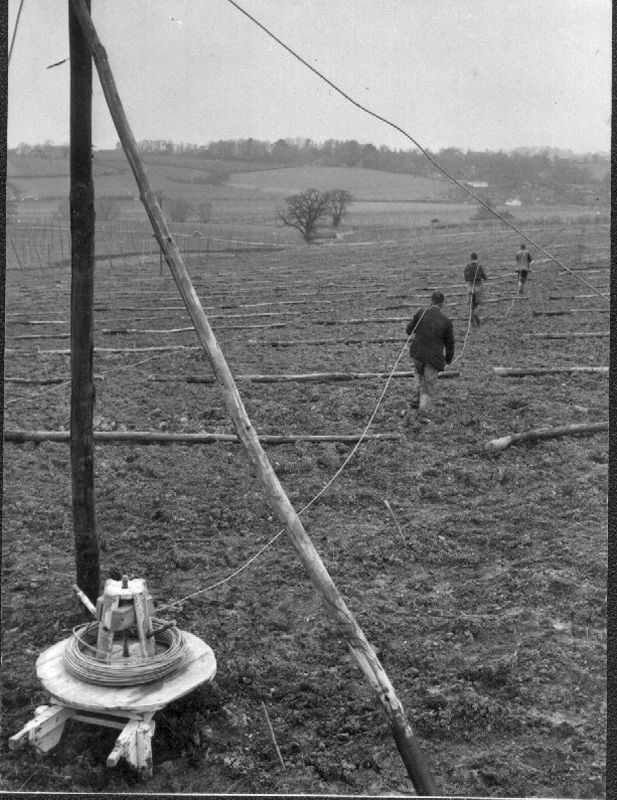 Manhandling the bearing wires across the garden. 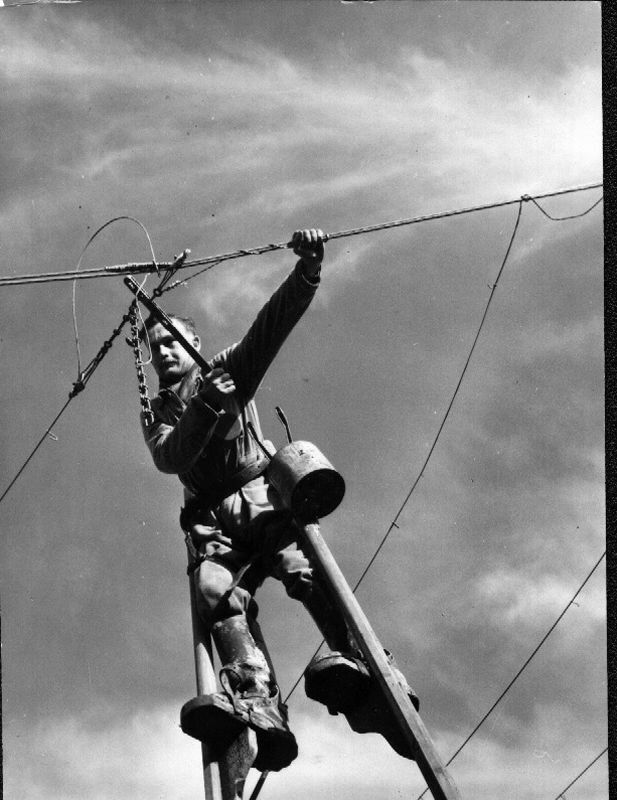 The height of the normal wire system by 1960 is 16 foot. Tensioning the bearing wires working on stilts. 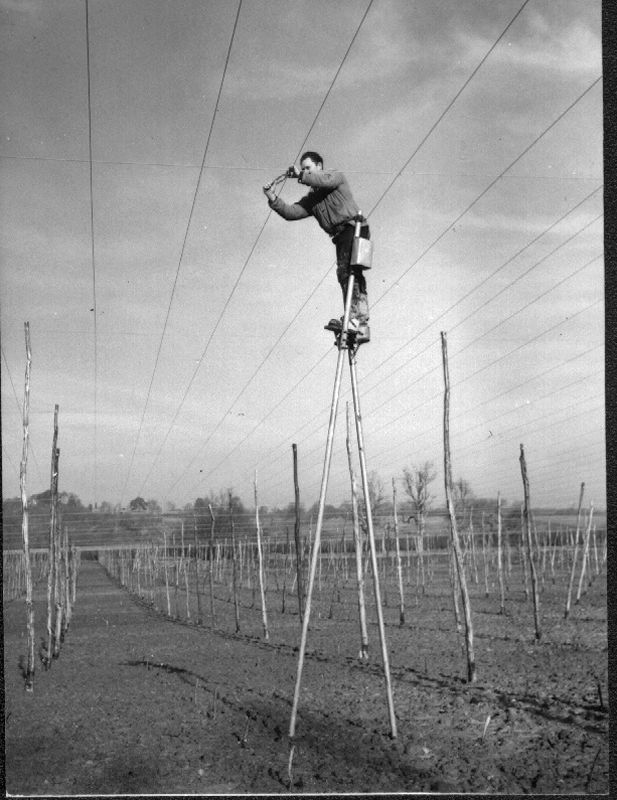 Setting the stringing wires, still on stilts. Fitting stringing hooks on wires.